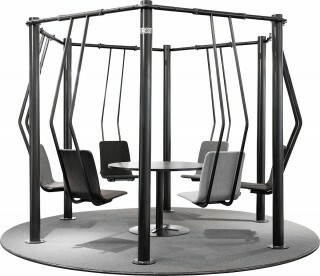 Hangaround is a playful swing for different working environmets. 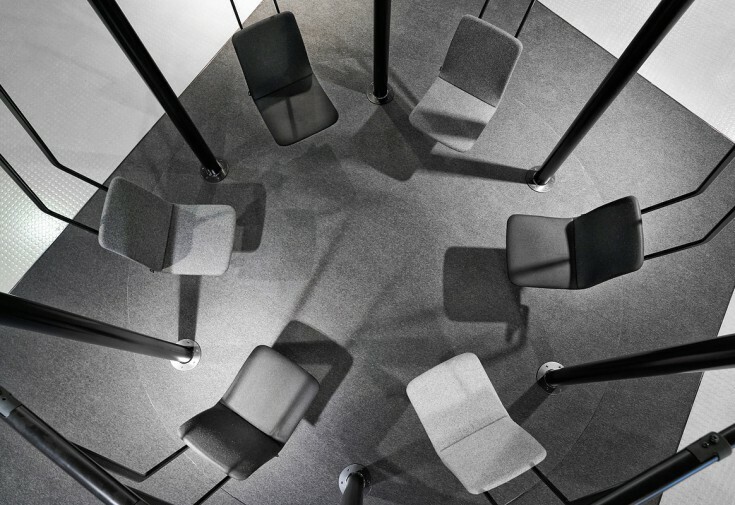 “Hangaround is not only a fun way to sit, but also an ergonomic alternative for the traditional, static sitting position. The inspiration for the design arises from increased awareness of how harmful sitting can be. 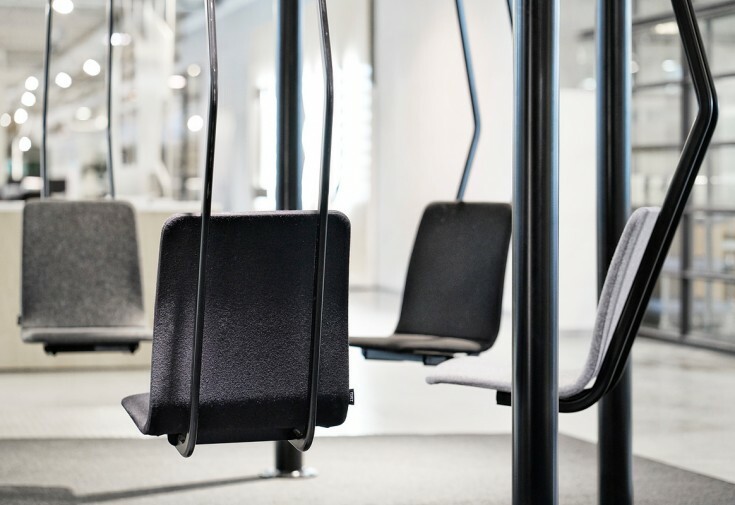 At school and at work, people are often sedentary for hours on end. 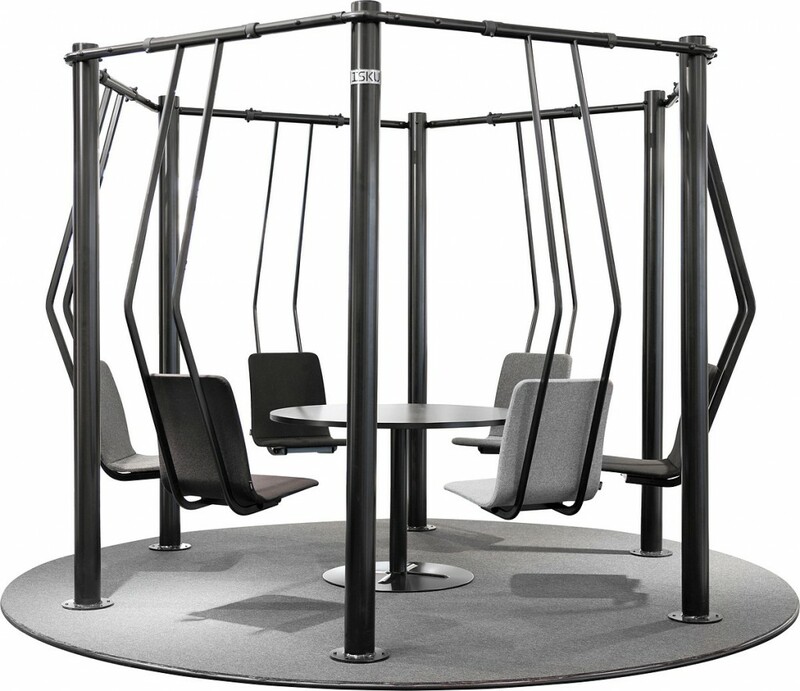 All major muscle groups become passive, the load on the lower back increases, metabolism slows down and thoughts become muddled. 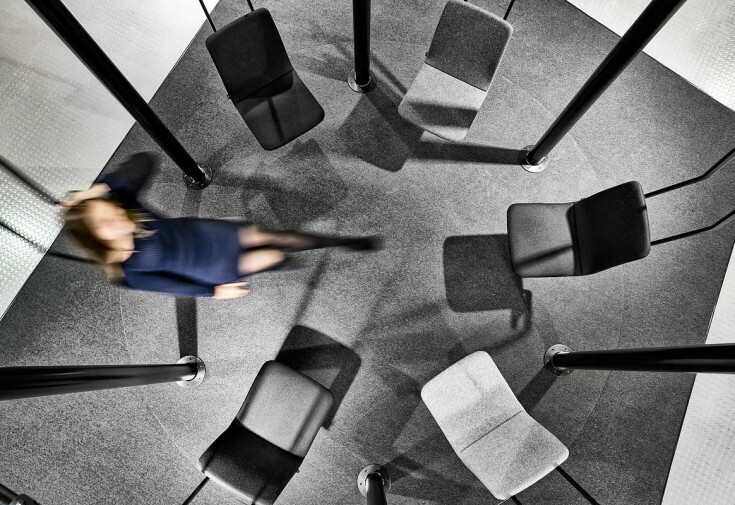 Luckily, it takes just a tiny movement or a change in body position to activate the body and the mind. 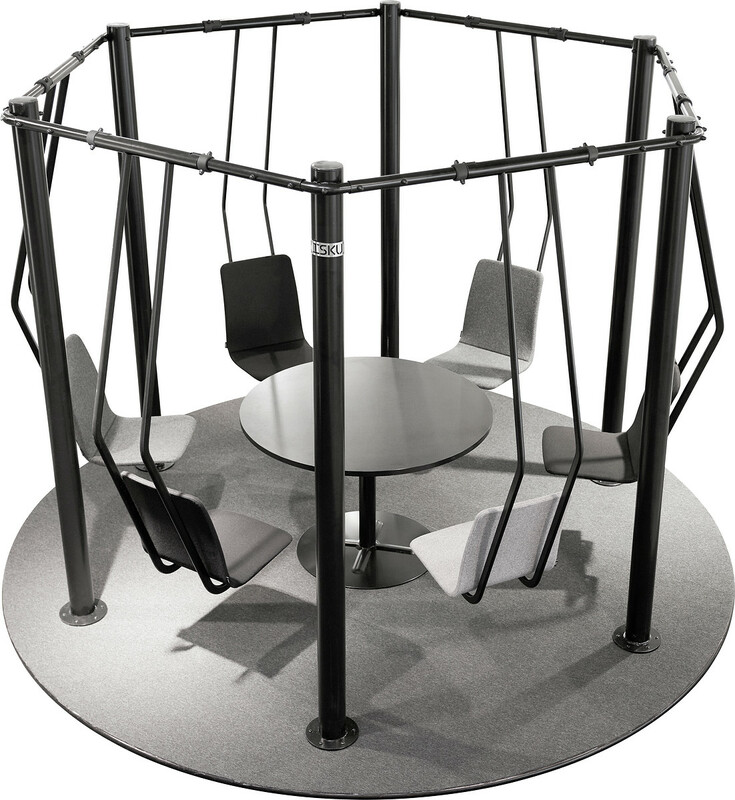 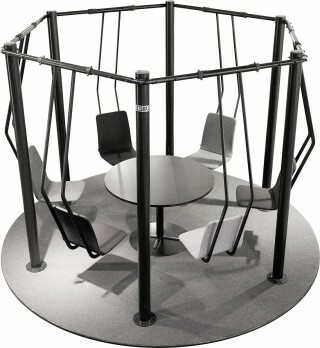 So, what if you had your next meeting or brainstorming session in the Hangaround swing?” -Kaisa Jäntti, Designer.